We have provided this article as a free service to you – our valued customers. In this article, we have summarized important Nebraska Landlord Tenant Laws. 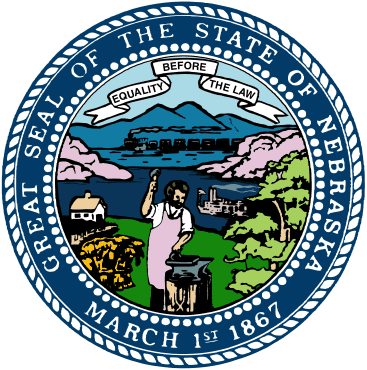 The following laws are derived from Nebraska’s official state statutes. Please follow the links we have provided, so that you may further your knowledge concerning the referenced laws and regulations. The following summary of laws and regulations is not an exhaustive list of all relevant laws and regulations, and it is not intended to be legal advice. Laws are subject to change, and will often vary from within the state from municipality to municipality. We recommend that you perform your own independent research to ensure that you are in compliance with any and all laws and regulations applicable to your current situation. Stay up to date on Nebraska Landlord Tenant Laws + Save money on tenant screening and other property management needs. Join AAOA today, it’s FREE! Should you have any legal concerns or questions regarding Nebraska Landlord Tenant Laws, we highly recommend that you consult with a qualified attorney. Many local and state bar associations have referral services that can assist you in locating an attorney. Security Deposit Interest: No state statute. Deadline for Returning Security Deposit: A landlord must return a tenant’s security deposit within 14 days after the tenant demands the payment and provides the location where the payment may be made or mailed. Neb. Rev. Stat. § 76-1416(2). Permitted Uses of the Deposit: A landlord is permitted to use the tenant’s security deposit to pay for outstanding rent, and damages the landlord has suffered due to the tenant’s failure to comply with the lease agreement or statutes governing the tenancy. Neb. Rev. Stat. § 76-1416. Other Requirements: A landlord must provide the tenant with a written description and itemized list of damages and charges that the landlord sustained a result of the tenancy. Neb. Rev. Stat. § 76-1416(2). Rent Due: Rent is due at the beginning of each month, or at the beginning of any periodic term of one month or less (unless otherwise agreed to by the parties to the lease agreement). § 76-1414(3). Rent Increase Notice: As agreed upon by the parties to the lease agreement. § 76-1414(1). Rent Grace Period: Rent must be paid without demand or notice on the agreed upon date contained in the lease. § 76-1414(3). Late Fees: As agreed to by the parties to the lease agreement. § 76-1414(1). Prepaid Rent: Any prepaid rent held by the landlord may be applied to the payment of outstanding rent owed at the termination of the lease. § 76-1416(2). Returned Check Fees: $10, plus any reasonable handling fee imposed on the landlord by the financial institution. § 28-611(5). Withholding of Rent: A tenant is permitted to withhold rent for a landlord’s failure to provide essential services, such as heat, water, etc. The tenant must give the landlord written notice of the actual violation. § 76-1427. Tenant Allowed to Repair and Deduct Rent: No. But, a tenant may give written notice to the landlord that tenant will terminate the lease 30 days from the date of the notice if landlord does not fix the problem within 14 days. Landlord Allowed to Recover Court and Attorney Fees: A lease agreement may not include a provision that allows a tenant to pay the landlord’s attorney fees. § 76-1415(1)(c). Landlord Must Make a Reasonable Attempt to Mitigate Damages: If a tenant abandons the rental unit without notice to the landlord for one full rental period or 30 days, whichever is less, the landlord is allowed to take immediate possession and must make reasonable efforts to rent it. If the landlord rents the unit for a term beginning prior to the expiration of the abandoning tenant’s lease agreement, the prior agreement is terminated as of the date the new tenancy begins. § 76-1405 and § 76-1432(3). Discrimination: In the United States, a landlord is not permitted to increase rent in a discriminatory manner, i.e. race, gender, religion, etc. Landlords are also not permitted to increase rent in retaliation against a tenant if a tenant has exercised a legal right, such as filing a legitimate complaint to a local housing authority concerning their tenancy. Notice to Terminate Tenancy – Fixed End Date in Lease: Notice is not required. Notice to Terminate Tenancy – Month-to-Month Lease: 30 days prior to the periodic rental date that is specified in the notice. § 76-1437(2). Notice to Terminate Tenancy – Week-to-Week Lease: Seven days prior to the termination date that is specified in the notice. § 76-1437(1). Notice of Termination for Nonpayment: Three-days written notice. § 76-1431(2). Termination for Lease Violation: For tenant violations of the lease agreement or for statutory violations, the landlord may give written notice describing the violation and stating that the agreement will terminate in 30 days if the violation is not remedied within 14 days. § 76-1431(1). Entry Allowed with Notice for Maintenance and Repairs (non-emergency): Yes. § 76-1423(1). Entry Allowed with Notice for Showings: Yes. § 76-1423(1). Emergency Entry Allowed without Notice: Yes. § 76-1423(2). Entry Allowed During Tenant’s Extended Absence: Yes, during any absence of the tenant that is longer than seven days. § 76-1432(2). Lockouts Allowed: No. § 76-1436. Utility Shut-offs Allowed: No. § 76-1436. Name and Addresses: Prior to the beginning of a tenancy, the landlord is required to provide the tenant with written notice of the name and address of the property manager as well as the name and address of the landlord or person authorized to act on behalf of the landlord. § 76-1417. Copy of the Lease: No state statute. Domestic Violence Situations: No state statute. We recommend that you contact the Nebraska Domestic Violence Sexual Assault Coalition for information on support organizations concerning domestic violence. Landlord’s Duties: A landlord must (1) comply with the requirements of the applicable housing codes materially affecting health and safety (2) make all repairs and keep the premises in a fit and habitable condition (3) keep all common areas in a clean and safe condition (3) maintain in good and safe working order and condition all electrical, plumbing, sanitary, heating, ventilating, air-conditioning, and other facilities and appliances (4) provide and maintain appropriate receptacles and conveniences for the removal of trash, and (5) supply running water, hot water, and heat. § 76-1419. Tenant’s Duties: A tenant must (1) comply with all building and housing codes materially affecting health or safety (2) keep the rental unit in a clean and safe condition (3) dispose of trash (4) keep plumbing fixtures clean and (5) use all appliances and fixtures, including electrical, sanitary, heating, ventilating, etc. in a reasonable manner. § 76-1421. Unconditional Quit Notice: These orders require a tenant to move out within a shorter period of time that is allotted in the lease agreement. In Nebraska, a landlord (with 14 days written notice) can utilize an unconditional termination notice if the tenant, within a six month period, repeats the same lease violation act. Notice must have been given after the first lease violation act for this to be applicable. § 76-1431(1). Retaliation: A landlord is not permitted to retaliate by increasing rent or decreasing services or by bringing or threatening eviction of a tenant who has filed an official complaint to a government agency or has been involved in a tenants’ organization. § 76-1439. Lead Disclosure: A landlord must disclose to the tenant all known lead paint hazards. Eviction Cases Allowed in Small Claims: No. Landlord-tenant cases are heard in district or county court. § 76-1409 and § 76-1441. Statute of Limitations (1) Written Contracts: Five years § 25-205. (2) Oral Contracts: Four years § 25-206. A key component of landlord tenant laws is also Nebraska Tenant Screening Background Checks. We’ve dedicated an entire page to it because of its importance. Visit Nebraska Tenant Screening Background Checks to screen your tenant. All states require a variety of forms to rent an apartment to a tenant and Nebraska is no exception. Check out American Apartment Owners Association’s Nebraska Landlord Forms now. Looking for landlord tenant laws outside of Nebraska? The American Apartment Owners Association offers helpful landlord tenant laws for all 50 states. Click on any of the states listed below and go directly to its landlord tenant law page. To visit the homepage of landlord tenant laws, click here.